"A person came close. He gently grabbed Kin-ay's arm and showed me her name. Wow! That was a lovely way of telling her name!" That was the day when I encountered a living cultural museum. April 7, 2013: a date marked in my memory, tattooed on my heart, adopted by my DNA. She's a beautiful old woman. 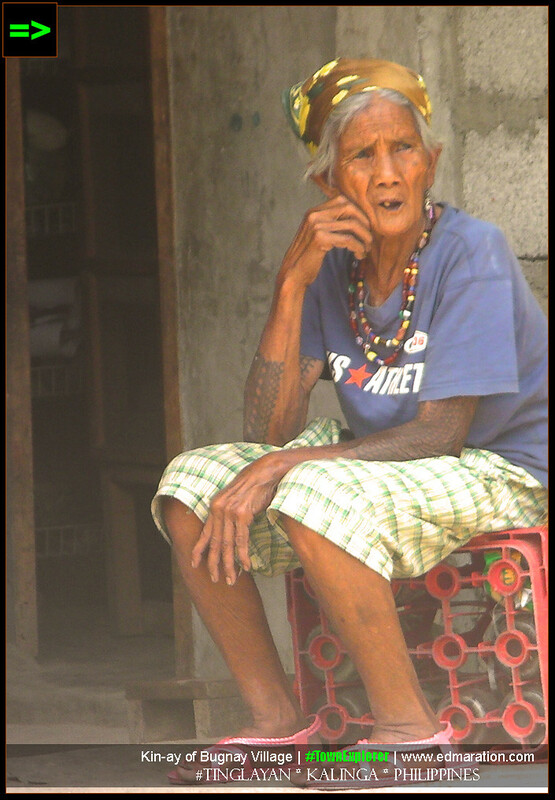 Her name is Kin-ay, a Kalinga tattooed woman whom I met for the very first time in this space of opportunity. 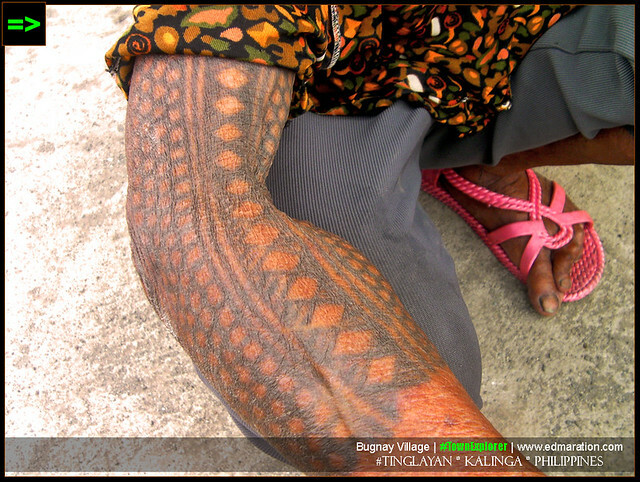 The reptilian-look arm is tantamount to beauty in her culture. I've met a lot of tattooed women, some are gangsters, some are achievers, but Kin-ay's tattoo has this design that can beat all the hippest tattoos in town. 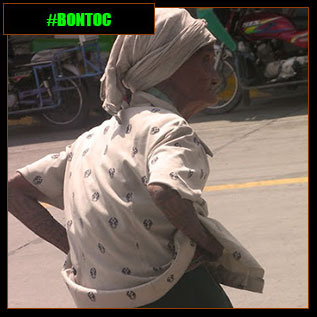 "The Kalinga prima facie evidence in terms of beauty should not be a subject for debate because if I were to be the judge, the evidence is too strong to put the case to rest."
. 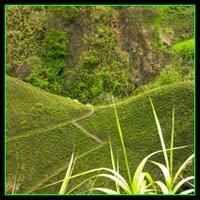 The latter village is a living cultural museum with living objects. 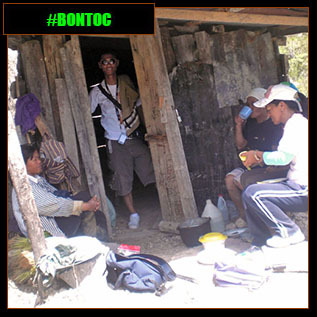 , Kin-ay's territory is Bugnay Village. 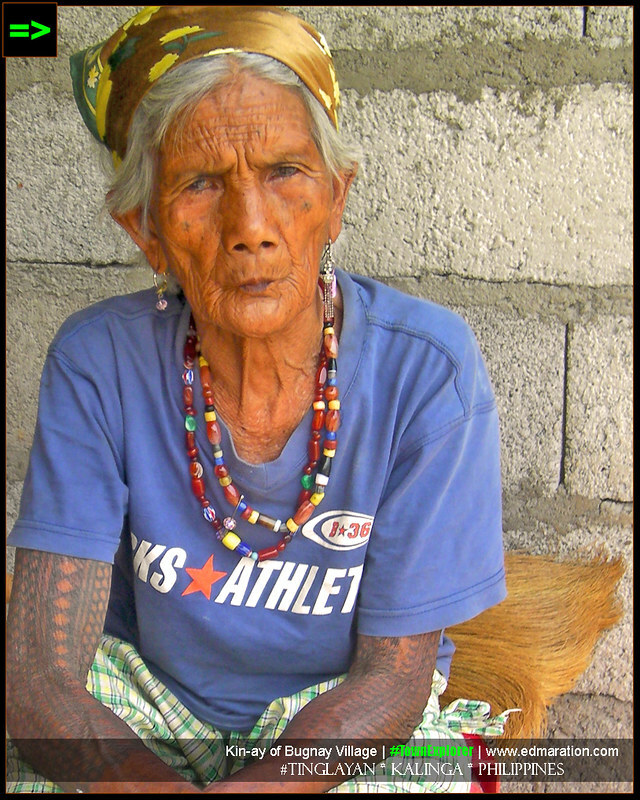 Unlike Fang-od, she does not have the skill of tattooing but she has this charisma to make every Kalinga tattoo hunter's heart to jump with joy. Her tattoo is a sign of bravery. 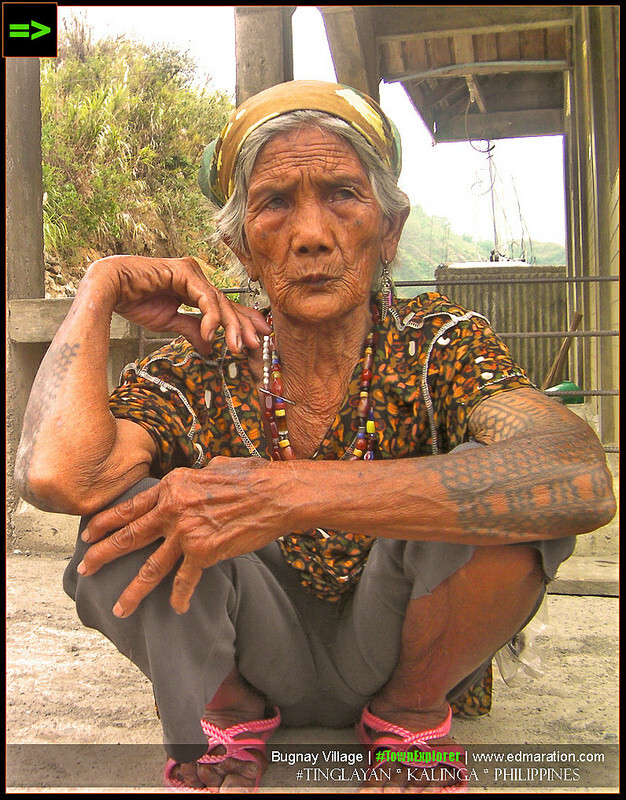 I've met some tattooed women in BONTOC but this group of tattooed women in Kalinga is yet another desire my culture-lustful body is fantasizing. 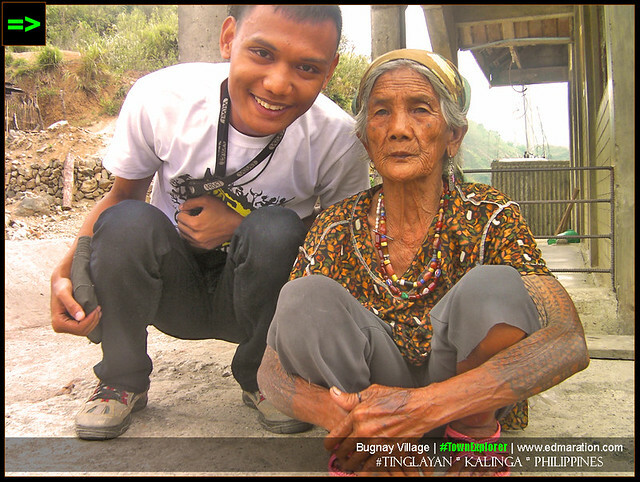 So upon I stepped on a Kalinga soil for the very first time, I saw Kin-ay. I saw her tattoos marked on that skin with love. 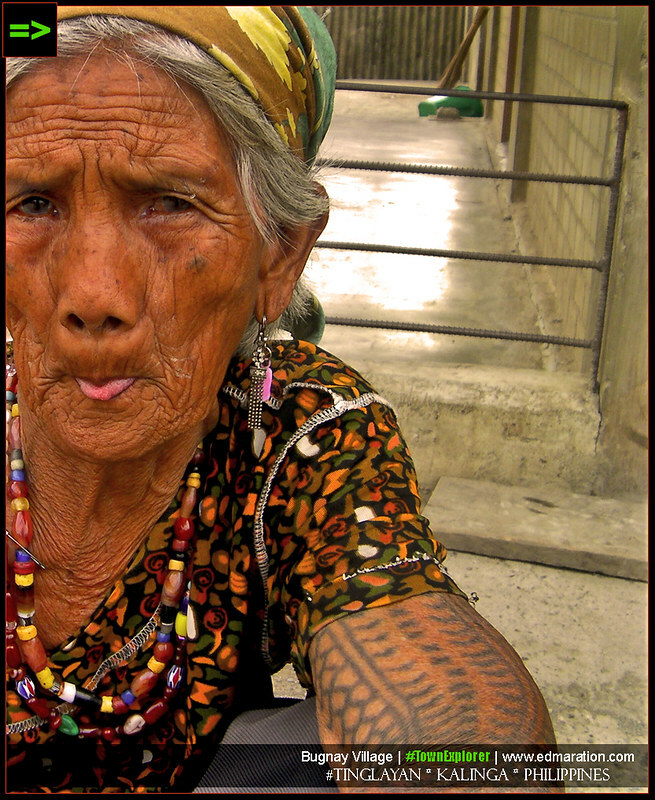 Also, she's the first tattooed woman from Kalinga I've ever met. Seeing her was like I was transported to a different space and dimension. She is a festival herself, a grandiose event, a living masterpiece. My eyes were witnessing a grand cultural show in the person of her. That's how I reacted for the first time. You know, my first time experiences are the most memorable. Her name was tattooed on her skin. I asked her name but she didn't answer me. I knew, she can't understand my Ilocano tongue. A person came close. He gently grabbed Kin-ay's arm and showed me her name. Wow! That was a lovely way of telling her name! K I N - A Y. 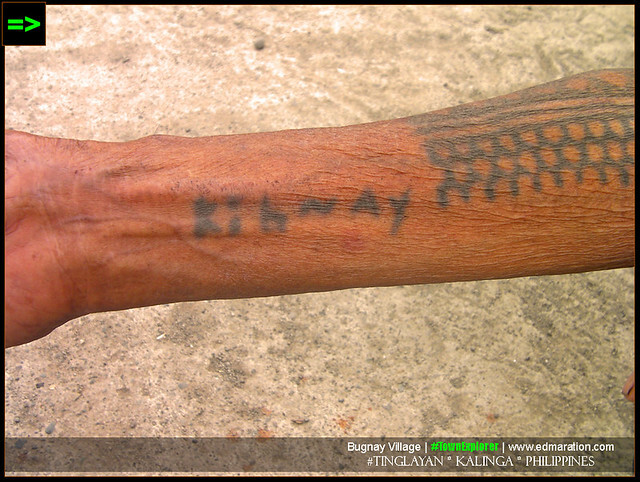 My very first exposure in Kalinga was priceless, to think that this is just the start of the journey of meeting the last tribal tattoo artist in Kalinga. 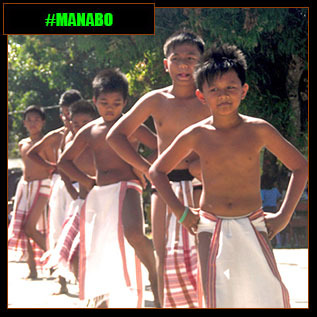 Kin-ay belongs to an endangered culture. Soon it will be extinct. The culture of tattooing is waving goodbye. 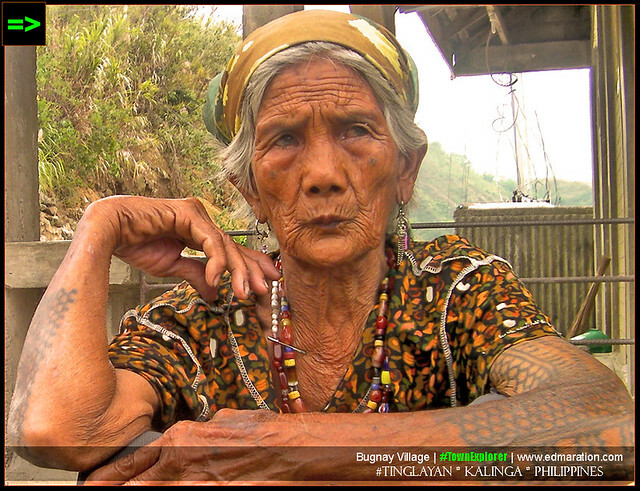 The younger generation of Kalinga women has learned to let go of the culture. My photo with her. 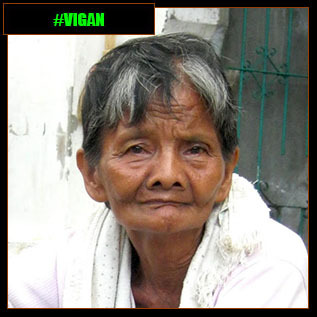 I paid her 20 pesos for this photo. She looks like a Westerner here, isn't it? Our first meet-up with Kin-ay never became the last. The second chance was so generous. She still wears that turban and her necklace. 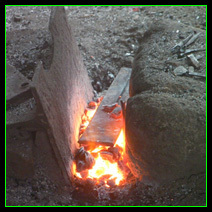 Usually, a necklace like that is made of porcelain they used to barter with the early Chinese traders in the lowlands. It's been a year since the last time we met. How is she now? Is she still healthy and fit? Is she still living? I don't know. All I want to do is to go back there because I have a surprise for her. TEASER ▬ She is unwittingly ending a tradition she is not supposed to end. 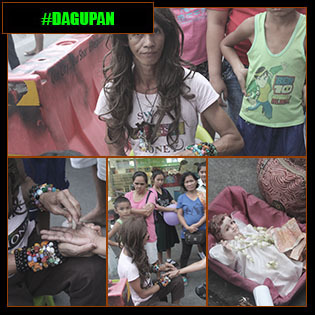 She's ending the tradition not by her choice but by the call of our ever changing society. 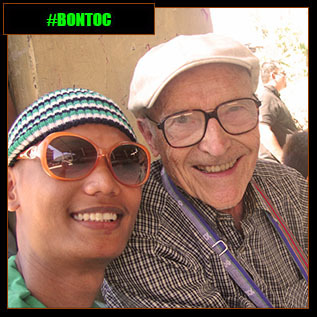 TEASER ▬ This moment made me arrive to the realization that the passion for traveling is age-independent and the possibility of traveling solo around the world in old age is not a theory. TEASER ▬ By time, I may forget them, so, I have to write a story about that experience that I may still remember those precious memories every time I do the recalling of happy moments. TEASER ▬ There was a language barrier but the mere fact that I am witnessing a portion of their culture has made me think that these people are simply unique and blessed! 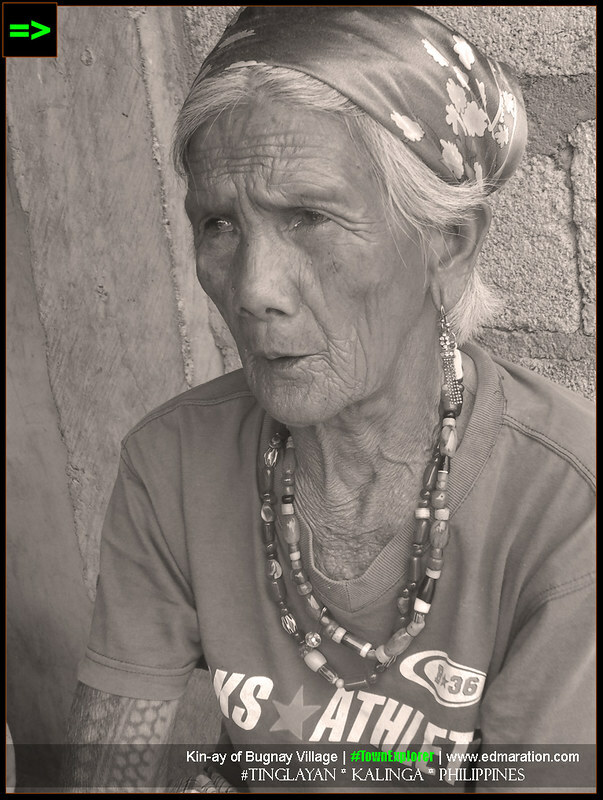 TEASER ▬ All I can see to the face of Lola Conchita is the sincerity in her craft—that she loves it so much in spite of her age. 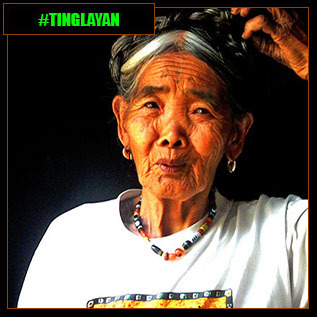 She started weaving Palaspas when she was 64 years old and at that age, she finds the "need" to do it to earn for a living. TEASER ▬ I was following their way and even the sunset will signal that they have to take a rest for now, the sunrise will again come tomorrow giving them new strength, new hope and a new day to gather more woods for their daily living. Hahaha, mana lang sayo. Naman din. Natural na yan sakin. Hehehe..
Pondering Paodaolei | Ang bilis mong mag-reply. haha. Mana lang sayo. Haha. Gawing chat ba. Am on the bus. Oh yan tinagalan ko pagreply ah. Pondering Paodaolei | Hoy!! hahaha.. talagang nasa bus pa ah, hehe..
Nawala pagod ko kakatawa n ah. Hahaha. 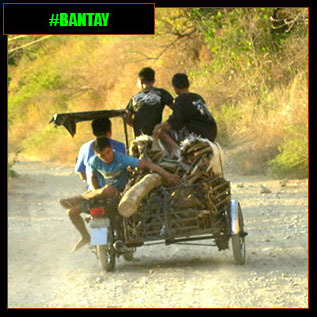 Eh wala ang motorbike mo eh, kaya bus ako. Ill tour you here pag nagpunta ka.